A truly immaculate example of this hotly coveted 1930s production. 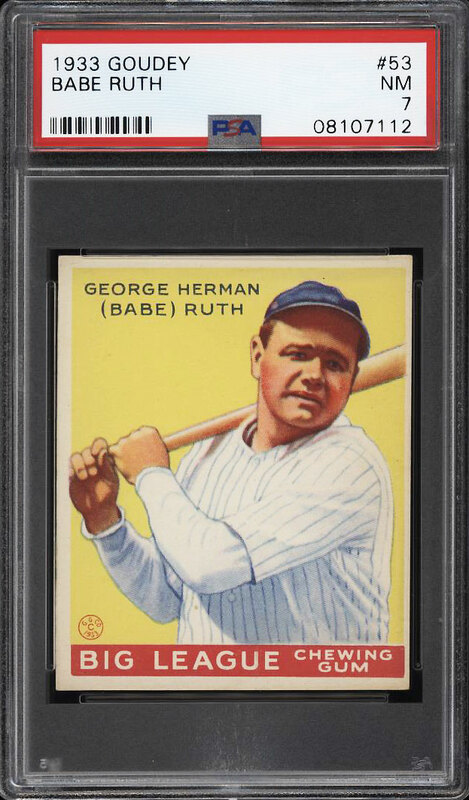 A stunning 'Yellow Ruth' which shows overall stupendous preservation and cleanliness for the issue. The print, color, and focus are all excpetional for the issue, perhaps presenting the best combination we've brokered in our history. The borders are creamy white and the back is spotless. All four corners are well formed and undeniably high grade throughout. All told this is a special offering of a highly elusive production. Very difficult to improve upon. 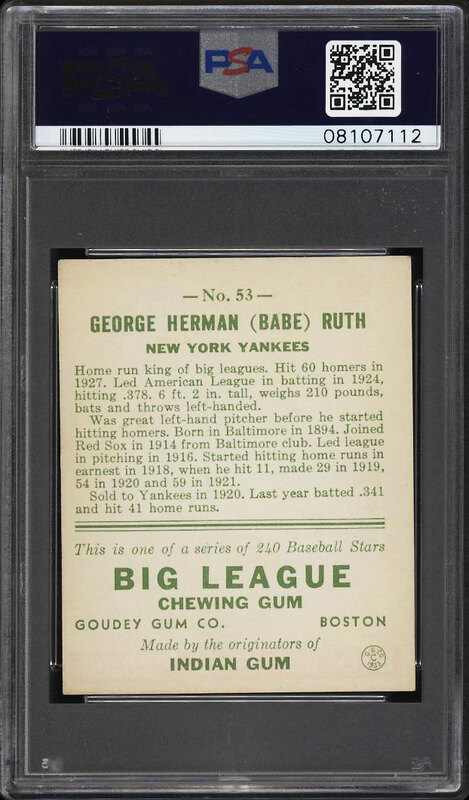 One of over 14,000 cards, lots and sets up for bid in our 6th Auction of 2018. Click on the link above to view the other PWCC auction lots.